WHEN deciding on a property to purchase, there’s an oft-cited mantra almost everybody agrees buyers should use: location, location, location. When it comes to project managers, a similar shibboleth could be: experience, experience, experience. And, just in case, it’s well worth adding an extra word—insurance—too. 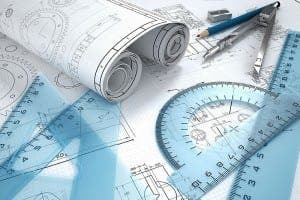 Project managers act for clients at every stage of a building project, from helping select architects and contractors, to ensuring all the paperwork is in place, to supervising the construction process, all to guarantee that the project is delivered to budget, on time, and complies with legal and quality standards. But, just as with estate agents in Spain, there are no laws regulating who can call themselves a project manager and no defined rules or guidelines about what project managers do. So, how can you decide if the people or company selling project management services are bona-fide professionals? Chris trained and worked as a quantity surveyor in the UK before setting up shop in Spain in 1996. Over the last 20 years, Renson has worked on dozens of new-build projects, including about 30 homes in the exclusive La Zagaleta urbanisation, as well as property refurbishments and facilities management and maintenance. Chris concurs that the most important thing you should look for in a project manager is experience, not just in terms of the length of time they have been managing projects, but also with regard to the variety and complexity of the projects overseen. Chris and his partner, Keith Johnson, have both been working for more than 40 years in the construction industry and have managed all kinds of projects, from hospitals in Algeria to residential property and office buildings in Spain and the UK. While they prefer to oversee a project from start to finish, they are often called in during construction to remedy problems other less experienced project managers have missed and get work back on track. Renson has been ISO 9001-certified for quality management for over a decade, Chris adds, meaning the firm is regularly audited to make sure its practices meet independent quality standards. Next articleWhat if Marbella entered the Olympics?